This gives you time, you may have the date but you're not sure about the place and timing of everything. This way people can book plain tickets get days off work and you can get them the invitations later. Send out save the date postcards. They are cheep to get printed and will save you money on postage. Give us a call and we would be happy to help you create something - within your budget. 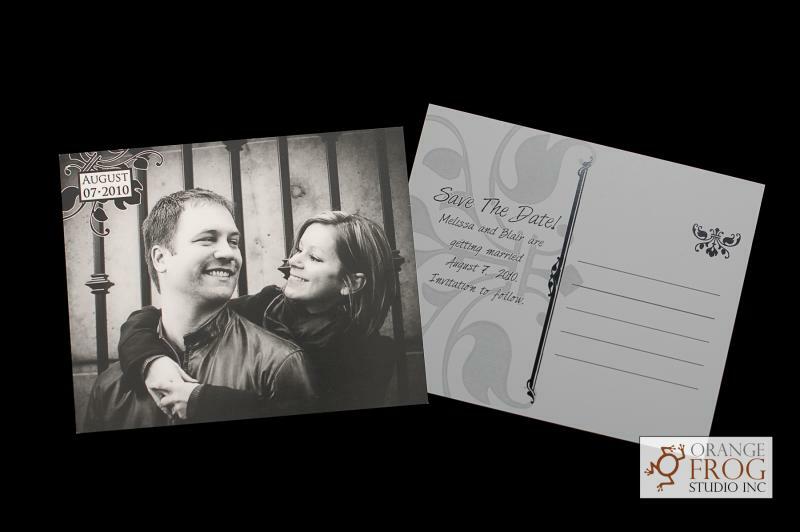 Orange Frog Studio does custom invitations, save the date cards, programs, menus etc. Best of all we can use photos from your engagement session to personalize your custom look.